An enchanting dress with feminine charm, with its refined transparency effect. 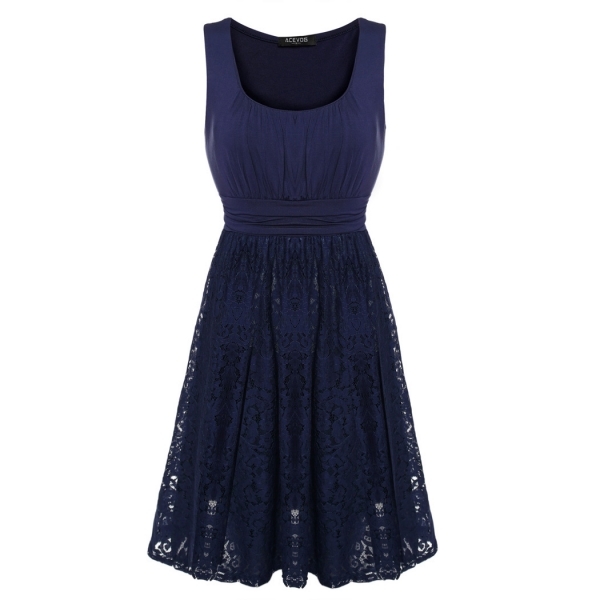 Who loves classic that will be delighted with this summer dress of ACEVOG! The affnierte geschneidende skirt give you a playful charm. Hard, soft and beqeum Fabric: Wonderful dress from wonderful material! Manufacturers size is quite large. Please order a size smaller if you are slim.